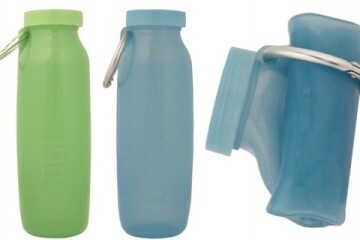 Like other vacuum bottles, the Golchi can be used to hold drinks, soups, and other liquids. 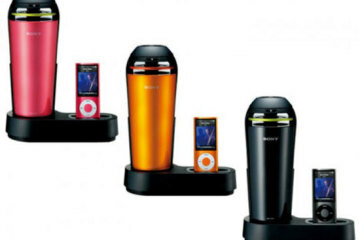 It can also keep them from losing temperature, whether you fill them with cold juice from the fridge or hot coffee from the pot. 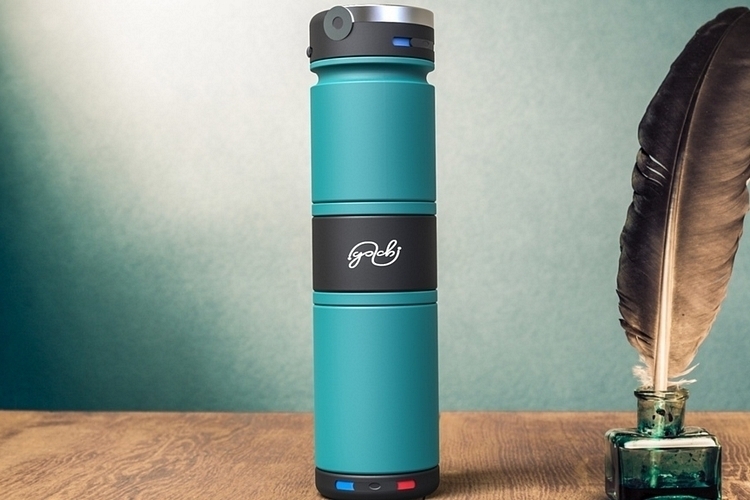 Unlike most other vacuum bottles, the darn thing can hold two drinks at a time. 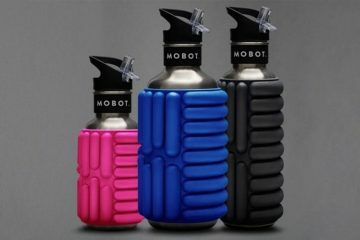 That’s right, this bottle comes with two main compartments, allowing you to carry two beverages using a single container. Even better, the two compartments are set up on either end with a buffer in the middle, so they won’t affect each other’s temperatures whatsoever. That means, you can put near-freezing soda in one and hot tea in the other without any issues. 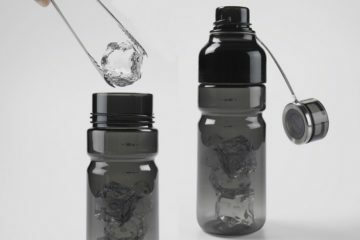 The Golchi Bottle actually has three compartments: an 11oz top compartment, a 13oz bottom compartment, and a 3.25oz middle compartment. 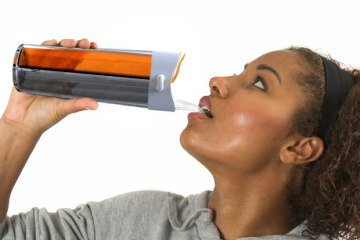 Both the top and bottom compartments come with drinking spouts on the lid, so you just turn the bottle over to drink from one to the other, although the bottom can also be pulled out for use like a cup. 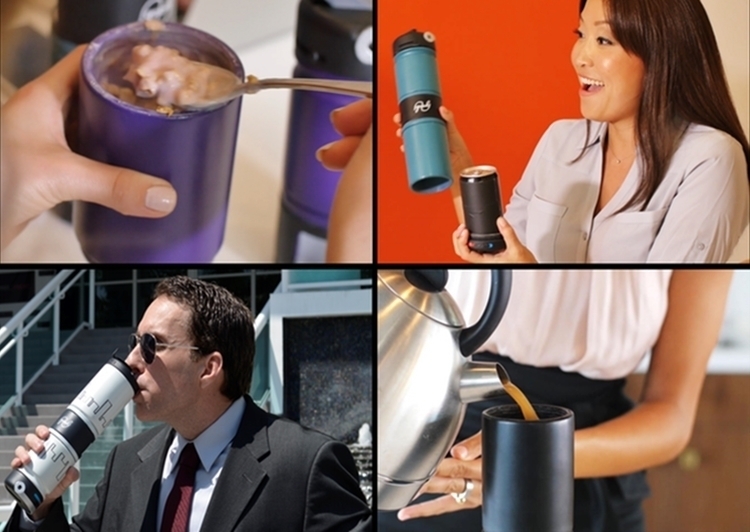 That makes it suitable not just for packing beverages, but carrying soups and similar fare. 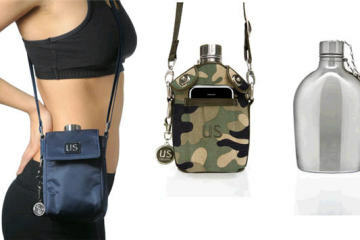 You can use the middle compartment to carry, basically, anything, although it’s intended to hold protein powders, medicines, tea leaves, and similar stuff. It’s modular, too, with the ability to combine the three compartments in different ways, so you can make a large single bottle (remove the middle compartment), add the food compartment at the bottom (for dry storage), or use it as two separate bottles. 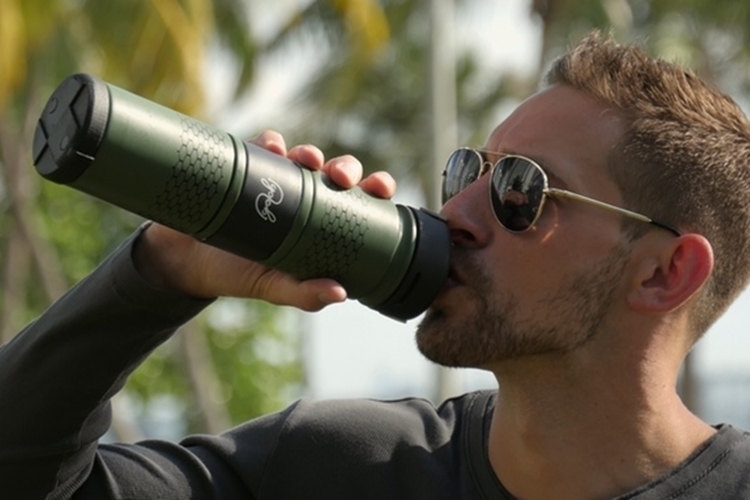 Features include triple-layer leak-proof protection, 12 hours of heat retention, 24 hours of cold retention, temperature markers on the lid (so you won’t forget which end is hot or cold), magnetic locking lids, and a collapsible handle. A Kickstarter campaign is currently running for Golchi. Pledges to reserve a unit starts at $32. HydraDuo: Why Carry One Drink When You Can Have Two? This product is very unsanitary. If you have to set your bottle down and then drink from the bottom of it, then there will be a lot of things that can make you sick. Also if one of the parts breaks is broken or lost then your whole entire bottle can’t be used, causing more than $30 to go to waste. This is a good idea but a very poor design.